Think entrepreneurially. Make ethical business decisions. Possess global awareness. You have a plan. We’ll help you succeed. 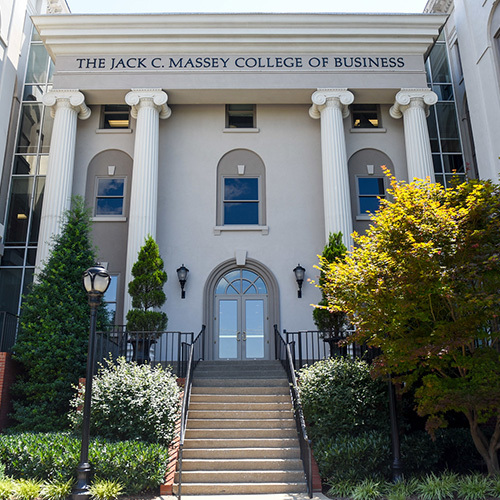 The Jack C. Massey College of Business at Belmont University serves undergraduate, graduate, and executive education students, providing nationally recognized, AACSB International accredited business education programs. Our mission is to provide you with an innovative learning experience – both practical and discipline-based – by faculty who have industry experience and globally-recognized academic credentials. Nashville is truly our students’ second campus, and there are numerous internship opportunities in a variety of fields. At Belmont, internships lead to job after graduation, which is why Massey’s latest 6-month placement rate is 96%. Nashville is an amazing place to call home, and clearly, employers see the value in Massey graduates. 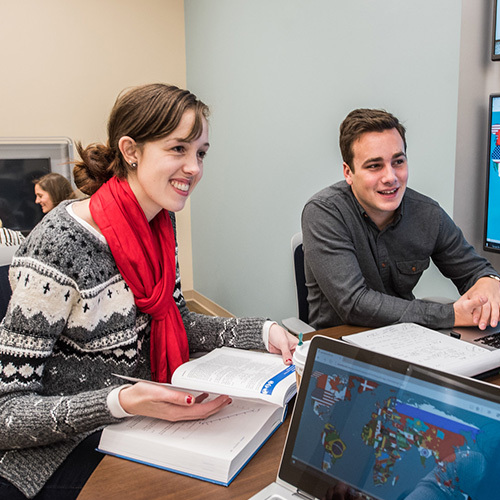 State-of-the-art facilities, student organizations, small class sizes, study abroad opportunities, and our thriving internship program combine to provide you with a rewarding learning experience in a student-centered, Christian community that prepares you to go From Here to Anywhere.